How did Neil Armstrong get to the moon? You are here: Home » TMNT gets a sequel even before it hits the UK. TMNT gets a sequel even before it hits the UK. 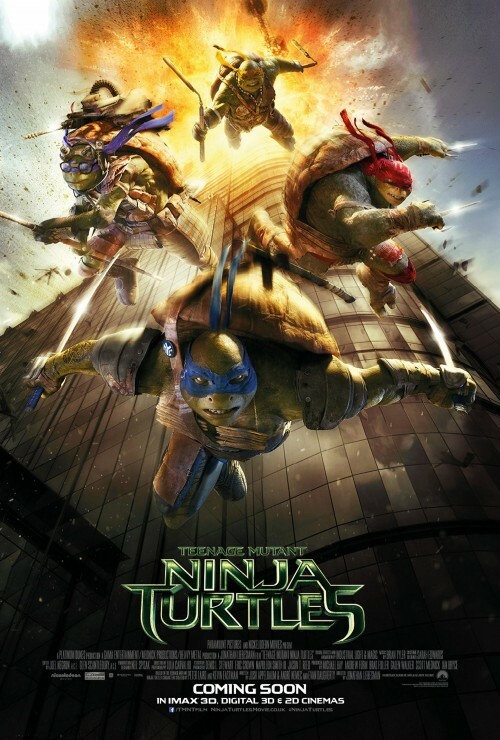 With TMNT not even hitting UK cinema screens until October 17 we have news about the sequel. Not only that, but a US release date as well! In just under two years the sequel will hit US cinemas. June 3, 2016 to be precise. Again produced by Michael Bay. Someone who will probably not direct but will have a large amount of influence in getting the film to screen. Expect more explosions. The film seems to be in the early stages of production as they have writers for the film. The same screenwriters who gave us the first one. It it all down to the good opening US weekend figures of $65 million. We will have to keep an eye on the total that the film makes to see if anything more comes from this. It may just die over the next couple of weeks in the US. It should pick up when it opens in other countries. Sorry, that should read other markets. Who knows. If it makes a huge amount of money Paramount may fast-track it and aim for it to get out sometime next year  instead of 2016. As with press releases we have to have some quotes from the distributor. Rebooting Teenage Mutant Hero Turtles, again!